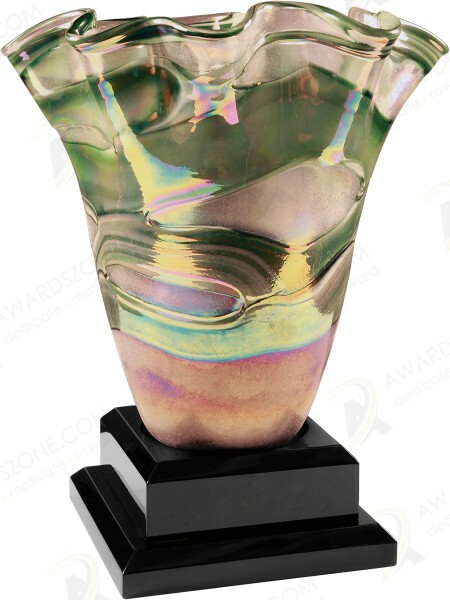 11.25" Art Glass Vase great for a retirement of special award, optional base can be personalized with company logo and special text. The vase is 11 3/4" wide at top, 6" wide in middle, 4" at bottom. Vase is shipped in brown cardboard box.